In this episode I’m joined once again by Art (Fourth Wall Comics Podcast) and Matt (Duke of Douche) to discuss more The Walking Dead goodness just in time for the second half of season 2. We discuss The Walking Dead: Rise Of The Governor (Skybound), the Torn Apart webisodes, and casting rumors for season 3. Major spoilers! 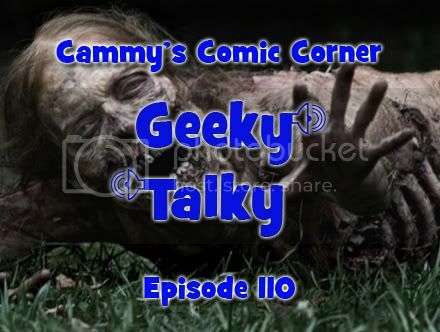 This entry was posted in Cammy's Comic Corner and tagged amc, bicycle girl, image, jay bonansinga, rise of the governor, robert kirkman, Skybound, The Walking Dead, torn apart by Cameron. Bookmark the permalink.